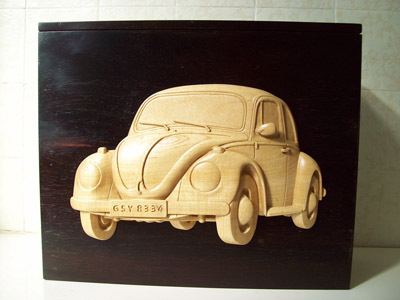 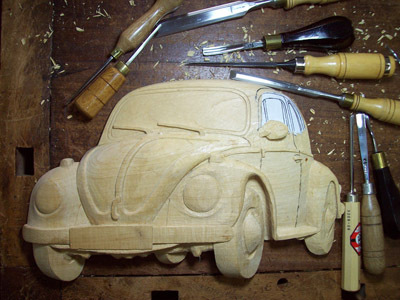 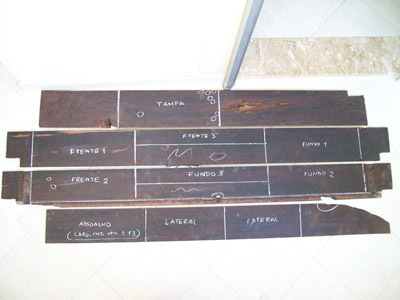 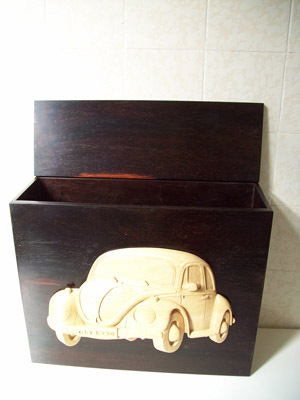 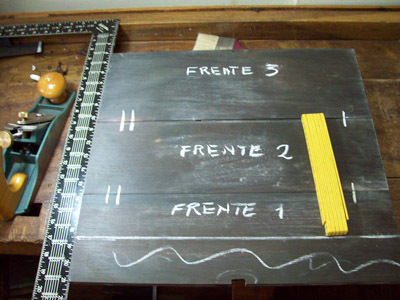 I recently built this box from salvaged “braúna”, the blackest and hardest Brazilian wood (almost like marble), upon which I attached a low-relief of a Volkswagen beetle (“fusca” in Portuguese) that I carved on a board of “pau-marfim” (ivory-wood). 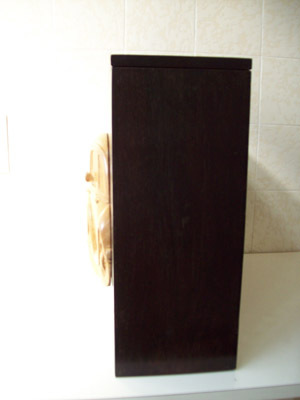 The dimensions of the box are 18 x 15 x 6. 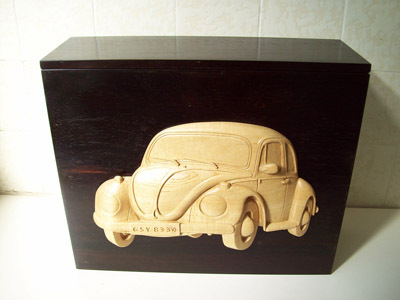 The piece was commissioned by a friend who is a VW Beetle addict and the box is intended to house a precious german HAZET tool set made for those beetles in the 1970’s.